Once again we were proudly chosen to be the official photographers for this years Allstate All-Canadians Mentorship Cup in Mississauga. 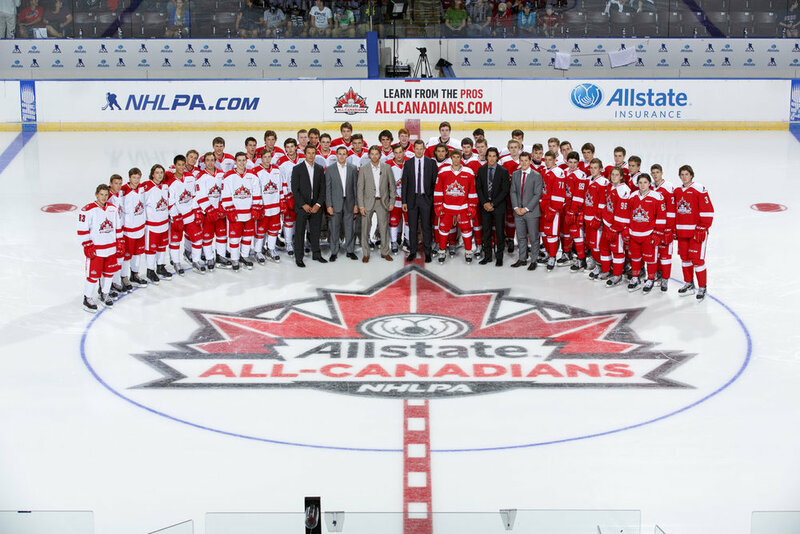 Each year, Canada's best bantam hockey players are selected to participate in this on-ice and off-ice program. Teams were coached by NHLPA members Jason Spezza and Claude Giroux with Team Tavares winning 6-5. The biggest challenge in photographing hockey professionally is in the lighting. To create the same style of lighting as an NHL rink we installed our strobes directly over the ice surface with the help of a lift truck. 8 strobes, 800 feet of extension cords, 500 feet of sync cord and 8 hours later, we were all set. A lot of work is involved in the setup but it is well worth the effort.